In recent years, we have had the honor and pleasure of welcoming a very special little lady into our Abilities family. Ainsley Rossiter and her family have been a welcome addition to our team of ambassadors. 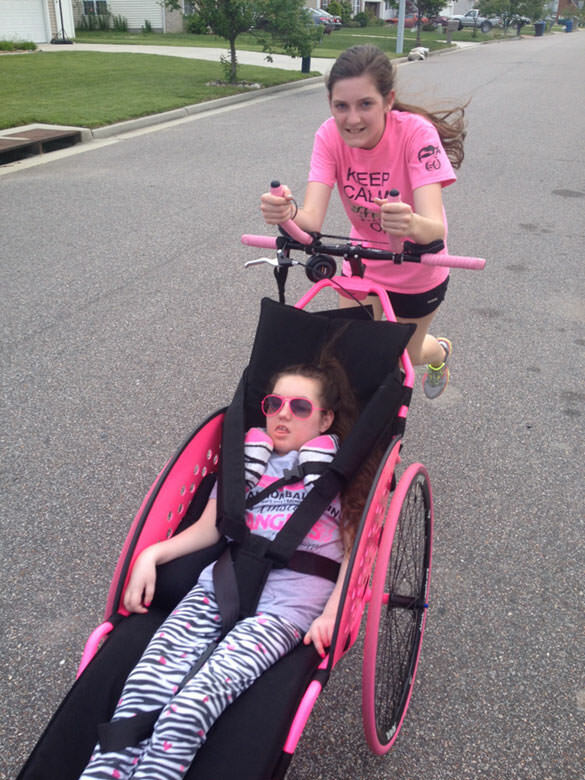 Though she is only 11-years-old and has never uttered a word, she is the inspiration for Ainsley's Angels and has played an integral role in popularizing the adaptive sports movement of ride-along racing. 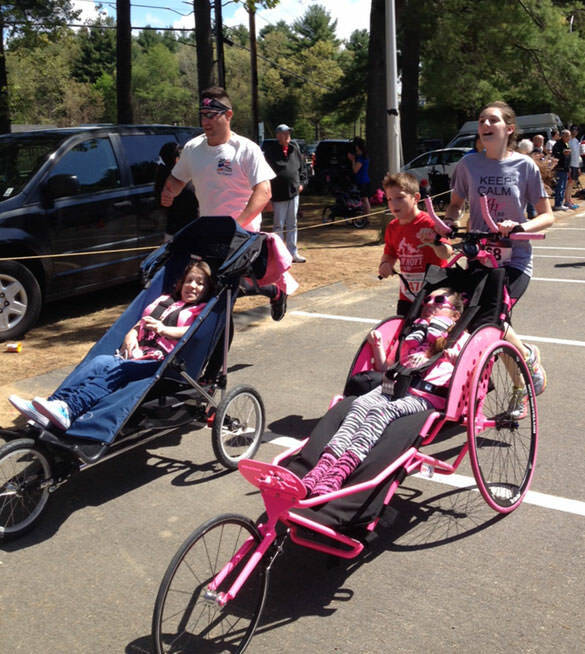 Thanks to Ainsley, teams across the country are participating in long-distance endurance events with "Captains"—assisted athletes of all age and abilities—riding point in their mobility device while their abled-bodied "Angel" counterparts propel them forward to the finish line. Because of Ainsley, her parents are unwavering advocates and have led the charge to open racing to people of all abilities. Because of Ainsley, her sister is a published author, sharing her experiences with the world in Born An Angel. Ainsley is one of 21 children in existence with Infantile Neuroaxonal Dystrophy (INAD). It's extremely rate, it's extremely debilitating and most children with this terminal diagnosis leave us before their tenth birthdays. She is now 11, a testament to her fighting spirit, but has recently encountered breathing difficulties that have caused her family concern. We have not updated you all in a few days, but feel compelled to do so tonight. It has been a Roller Coaster. Yesterday was incredible, Ainsley didn't require O2 all day and was even able to maintain her stats for 4 hours without BiPAP. Today she's relied on O2 all day and has had some significant desaturations, as her pulse-ox and heart rate both went to 0 this morning. We rubbed her chest vigorously and rolled her to her side and they slowly came back up. It was scary and the look in her eyes was terrifying. We are confused and frustrated, but know upper respiratory can be like a roller coaster with ups and downs, so we are trying to remain hopeful, but it is tough. We just want her to pull through so badly and are not ready to let go, but can't be selfish either. Please continue to lift Ainsley up for peace and comfort. Together, we shall all endure. This little girl has touched everyone she has ever met. Please join us in sending the Rossiter family prayers or positive vibes as your personal preference dictates. 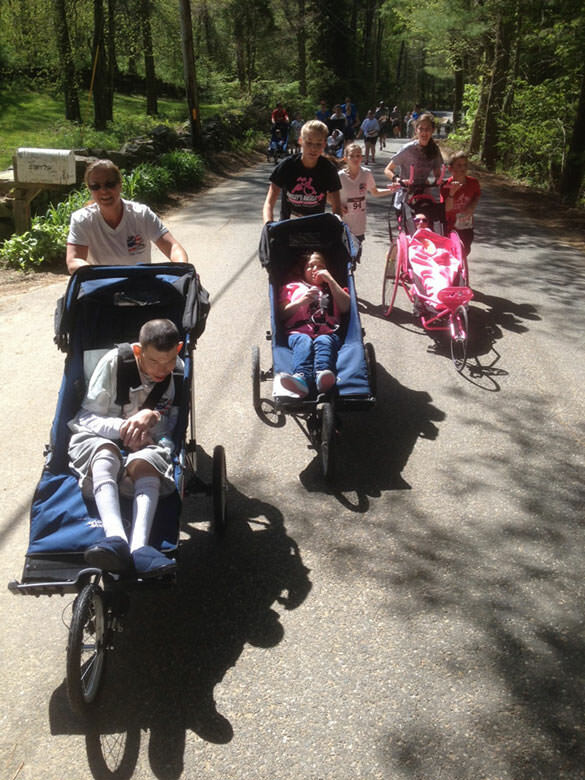 Ainsley's Angels has established a fundraiser for the 21 families living with INAD. The website reads, "The link between INAD and Parkinson's proves that if we can cure one, we can cure them both." For more information, visit www.crowdrise.com/ican4inad.